Today we’ve got a game so old, we’re almost certain everyone has played it once – or at least seen it. 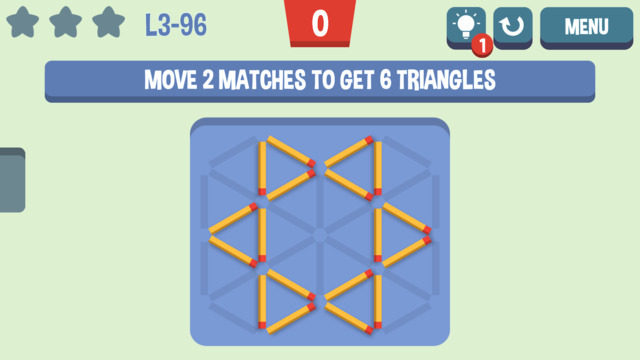 This super old, grandfather of all games, has finally been reincarnated into a flashy new mobile app, just as puzzling and challenging as it was before. This is our review of Move the Match. 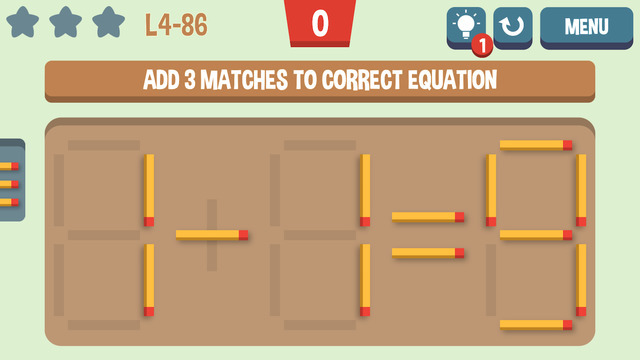 Matchstick games have been around for years, and are often “featured” in maths text books as prizes you can puzzle over – personally we’d rather a chocolate bar – but it’s definitely better than 100 practice problems. That’s for sure! As you can see from the screenshot above, nothing has changed. You have the same grid layout, the same yellowish matchsticks, and the same simple touch controls the original had. If you like puzzles, this reformed antique is a game you need.